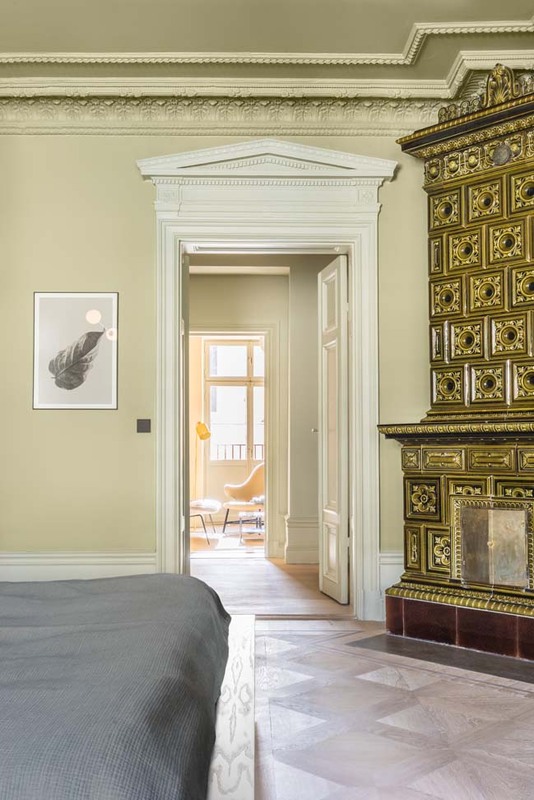 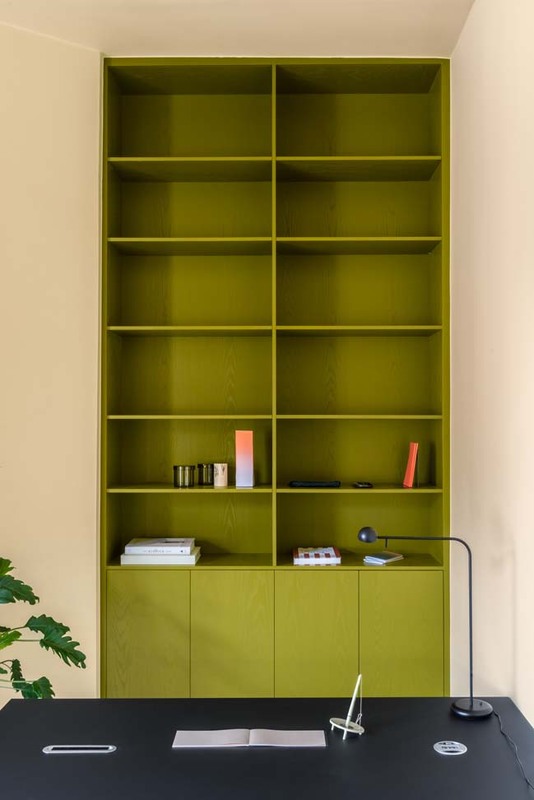 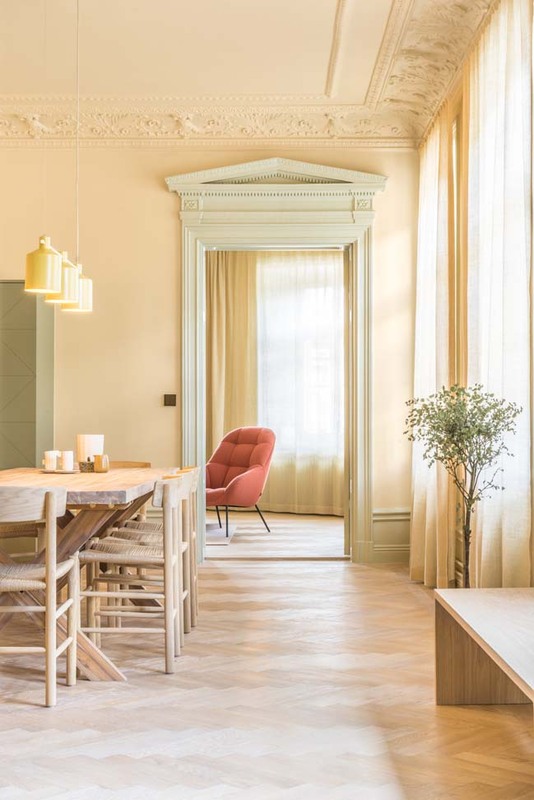 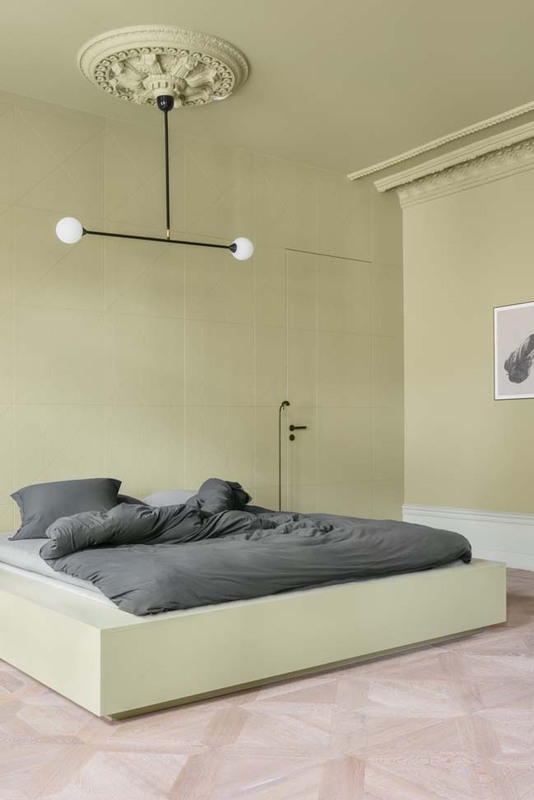 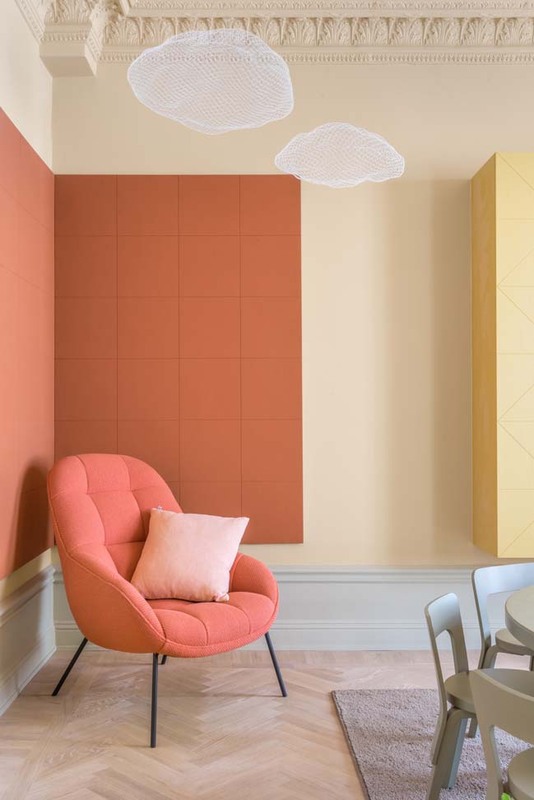 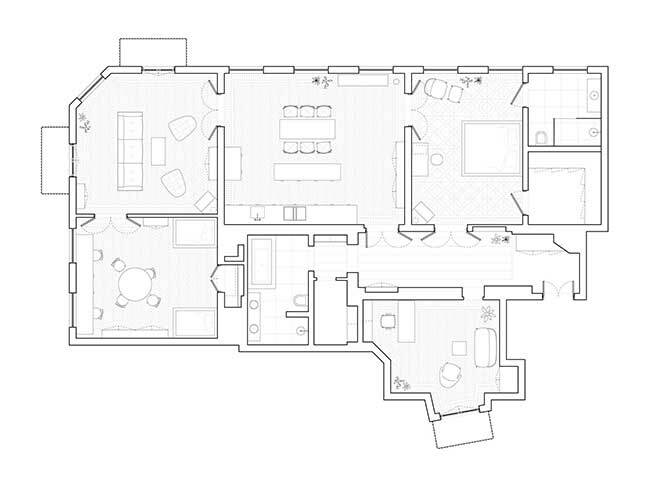 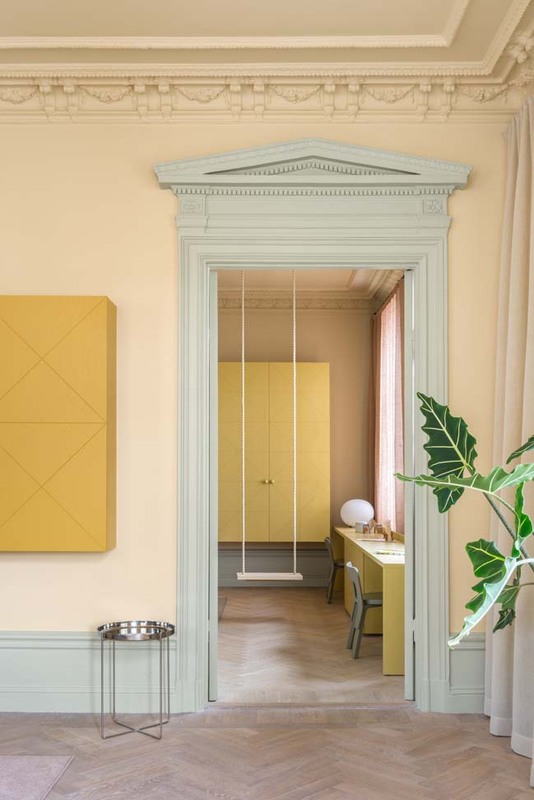 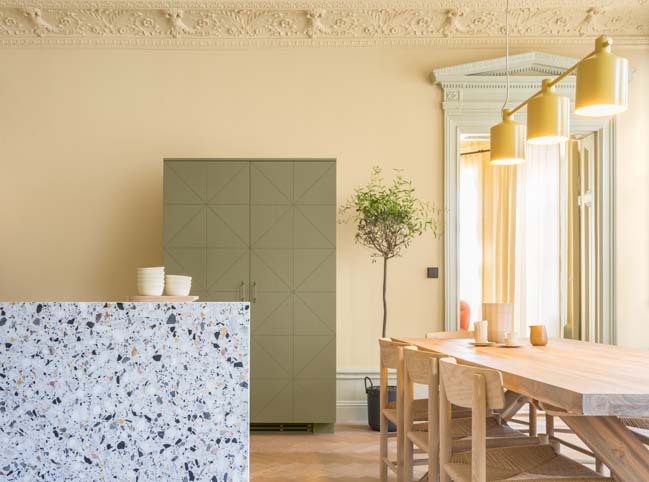 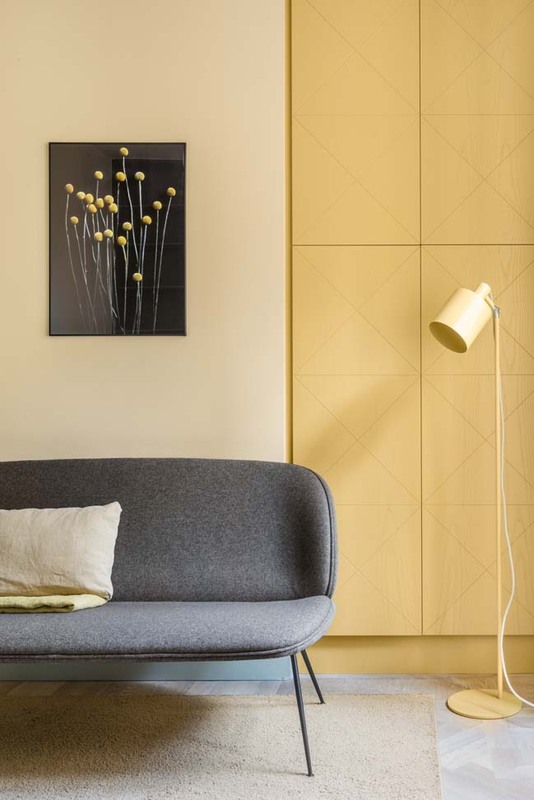 The HIDDEN TINTS is a cozy apartment in Stockholm that was transformed from an office space - an apartment without either bathrooms, kitchen or storage - the former head office of a fashion brand in the center of Stockholm. 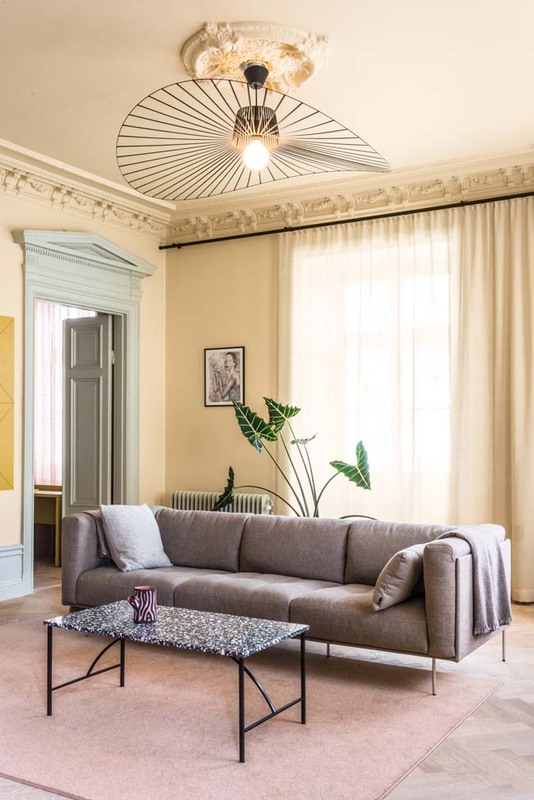 Project's description: Traces of the old 19th century splendour were there – worn wooden floors and ornaments in the form of stucco and carpentry as well as three old tiled ovens – but all those beautiful, old characteristics were painted in thick layers of white color with modern spotlights in all ceilings, which reinforced the feeling of an impersonal office. 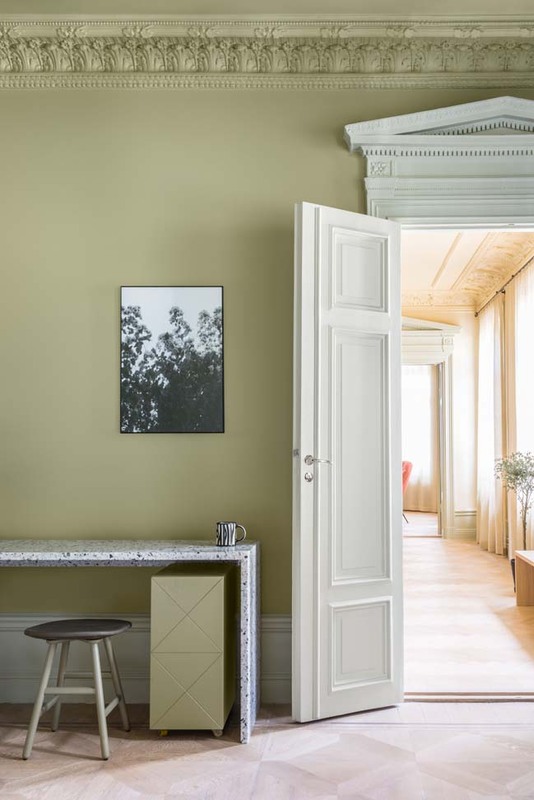 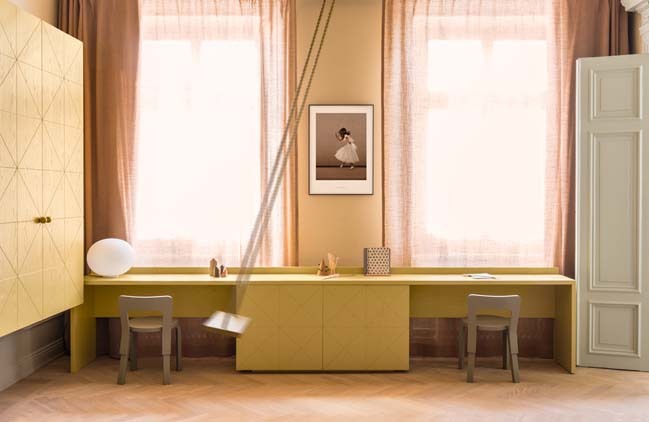 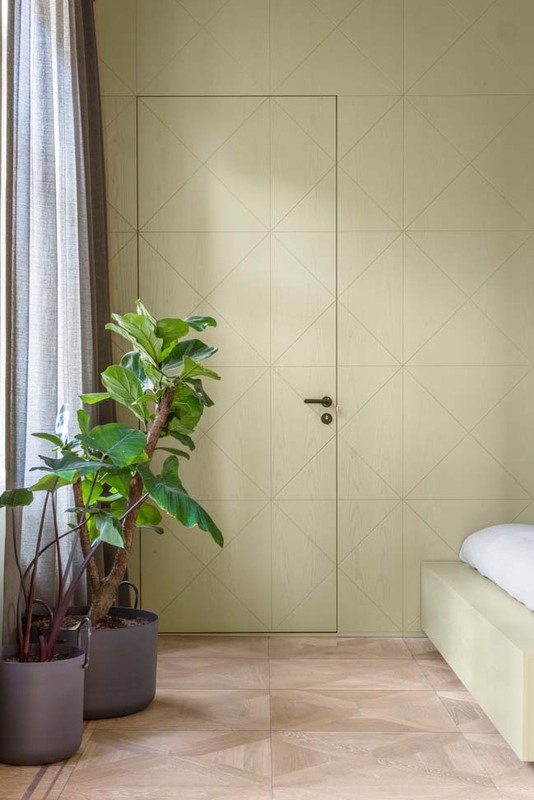 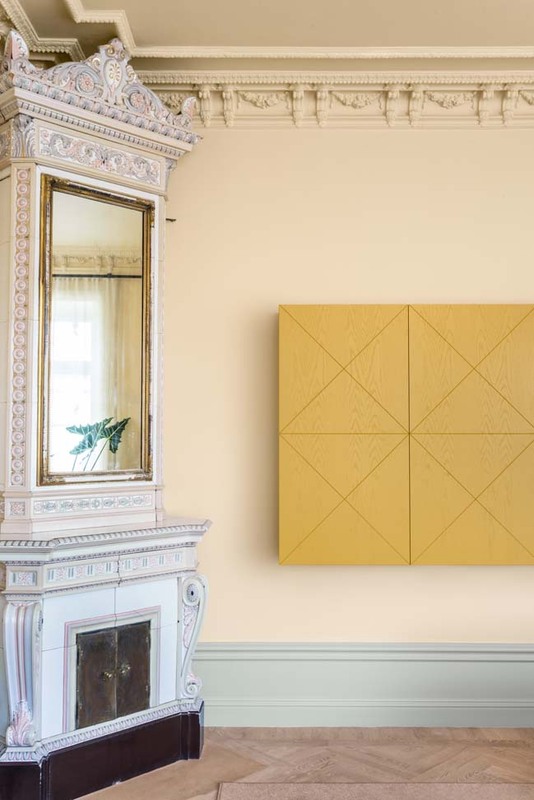 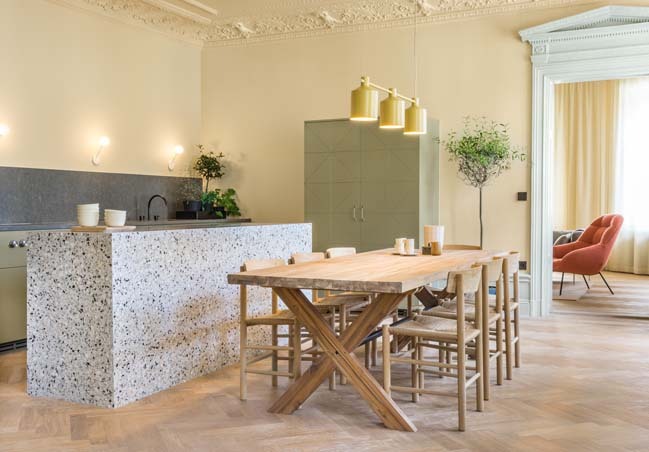 Two new walls were added and they inherited the same markings as the cabinets – a veneered surface with crossing lines in squares taken from the most beautiful pattern in the apartment; an original parquet in one of the corner rooms.